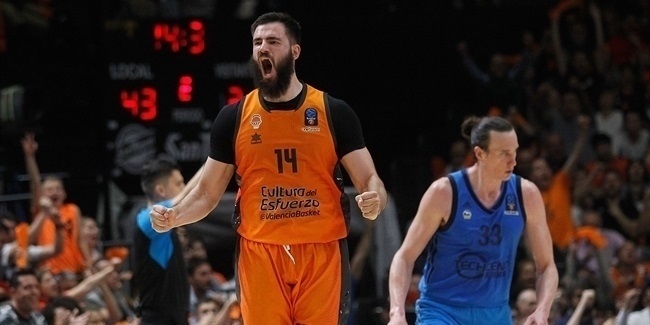 In Game 2 of the 7DAYS EuroCup Quarterfinals on Friday, there were two road victors who punched their tickets to semifinals, and a pair of teams triumphing at home and forcing a deciding Game 3 next week. Alexey Shved helped make Khimki Moscow Region one of those two survivors by coming close to a triple-double while leading his team to a blowout 98-74 win over Valencia Basket. Shved posted 17 points – making 5 of 10 two-point shots and 2 of 8 three-pointers – dished 11 assists, and pulled down 8 rebounds. He also had a steal and 4 fouls drawn to amass a performance index rating of 22, the highest of any player on a winning team in quarterfinals Game 2. The highest index rating in Game 2 belonged to Stefan Markovic of Zenit St. Petersburg, who had PIR of 23 in 77-88 loss to Lokomotiv Kuban Krasnodar. Markovic scored 21 points while making 5 of 7 three-pointers and also had 12 assists. Shved's teammate Jacob Pullen had the third-best index rating, 21, thanks to his 18 points, 4 rebounds, 2 assists and a steal in Khimki's big win. Curtis Jerrells of Hapoel Bank Yahav Jerusalem was top scorer in Game 2 with his 23-point performance in 79-85 victory at Herbalife Gran Canaria Las Palmas. 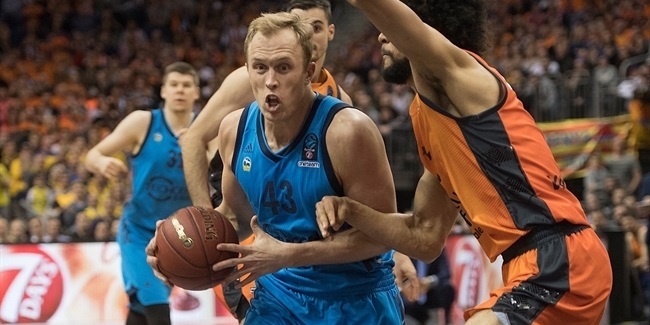 Jerrells was followed by Zenit's duo of Markovic, who scored 21, and Sergey Karasev, who posted 20 points. 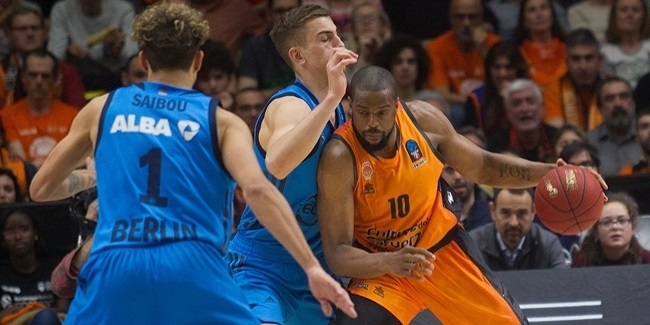 Gran Canaria's Royce O'Neale was top rebounder in Game 2 pulling down 10 misses. Vladimir Ivlev and Kevin Jones, both of Lokomotiv, followed with 9 rebounds apiece. Markovic led all players in Game 2 with 12 assists, while MVP Shved's 11 assists were second best on the night.